CARACAS, Venezuela -- A Canadian gold mining company on Thursday won the right to go after Venezuela's prized U.S.-based oil refineries and collect $1.4 billion it lost in a decade-old take-over by the late socialist President Hugo Chavez. Chief Judge Leonard P. Stark of the U.S. Federal District Court in Delaware made the ruling in favour of Crystallex, striking a blow to crisis-wracked Venezuela, which stands to lose its most valuable asset outside of the country -- Citgo. Chavez took over the gold mining firm and many other international companies as part of his Bolivarian revolution that's left the country spiraling into deepening economic and political turmoil. Chavez in early 2009 announced Venezuela's take-over of the Canadian mining operations in Bolivar state, a mineral rich region with one of the continent's largest gold deposits. He accused mining companies of damaging the environment and violating workers' rights. Crystallex spent years trying to negotiate a deal with Venezuela before making its case in 2011 to a World Bank arbitration panel, which sided with the Canadian firm, despite Venezuela's vigorous fight. U.S.-based Citgo, part of the state-run oil company PDVSA, has three refineries in Louisiana, Texas and Illinois in addition to a network of pipelines. If the order is carried out, Crystallex won't get all of Citgo -- valued at $8 billion -- but Venezuela could be forced to liquidate it to make good on the court order. The judge's ruling is unique, because government assets, like PDVSA, are normally protected from lawsuits against a sovereign nation. But the judge found that Crystallex can attach Citgo's parent because Venezuela has erased the lines between the government and its oil firm, now run by a military general. "This gives Venezuela the chance to honour its settlement agreement," Dallen said. 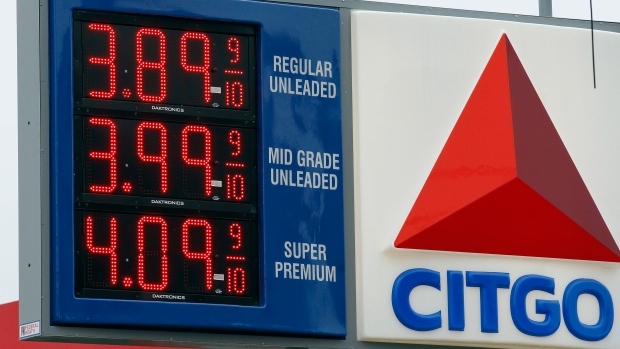 "Or they'll lose Citgo."